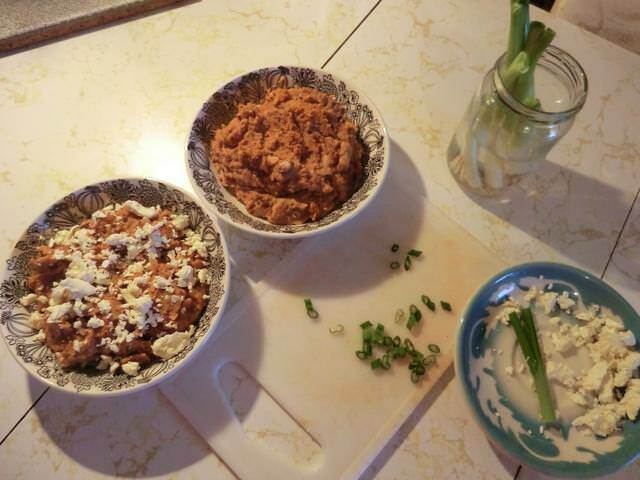 Green Onions … Take 2 | Cooking is Fun … Really!! You can often find those little bundles of green onions on sale … 2 for 99 cents … in your grocery store. But if, like me, you’re on your own, you may be hesitant to buy them, because they don’t keep their crisp texture long before they start to wilt from the outside in. And there’s a lot of wastage, even if you wrap the green onions in paper towels, bag them, and keep them in the vegetable crisper drawer of your fridge. 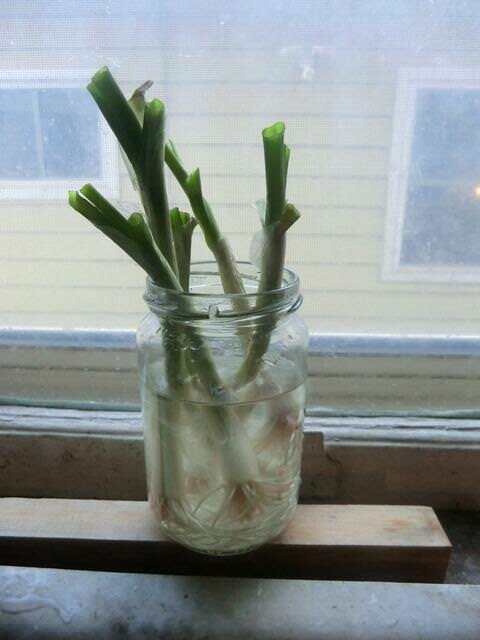 However, there ARE ways to extend the lifespan and usefulness of your green onions. 1. Use immediately – Just trim off the roots, slice up the green tops and white bottoms and use. 2. Freeze – Place the leftover sliced onion (top and bottom) in an air tight container and freeze. Use a tbsp or more as required by your recipe. They may not be as pretty a garnish as the fresh thing but sprinkle some of the frozen pieces over the top of a bowl of hot chili, stew or soup. They will thaw quickly and you can stir them into your dish before eating. 3. Grow hydroponically – Cut off the green tops and one or more of the bottoms if required by your recipe. The rest of the bundle … place it into a large glass or small jar filled with water and place it on your windowsill. Replace the water every few days so the water and roots don’t get too slimy. The roots will produce new stems once, even twice. NOTE: Harvest the green tops often or they’ll get top heavy and flop over. The older outer stalks will be thicker and chewier than the tender shoots in the center. You can cut the green stalks down a bit farther than I did. As you may be able to see, the roots are getting quite big. I HAVE trimmed the roots back when they got too long but that can be a shock to the plants and they’re unlikely to be very productive from that point. This leads to your final option. 4. Replant – Plant the stubby bottoms in a pot of soil. Place in a sunny area in your house, if it’s winter, or outside in the spring/summer, and you’ll have your own green onion plants to use. 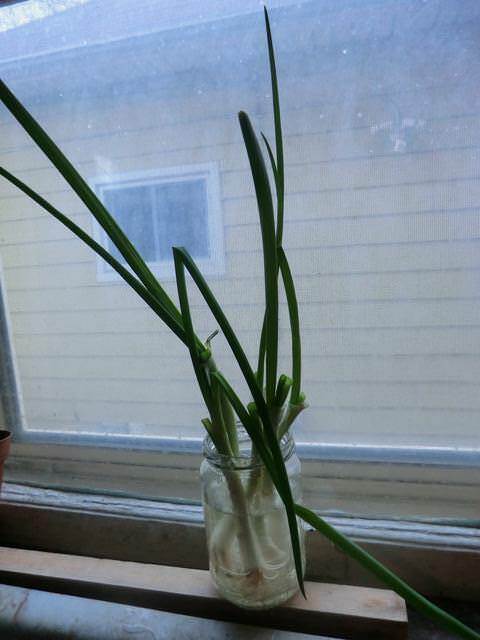 I’ve been growing green onions both in water and soil for ages (I posted about it some time ago). I have a tip: cover the jar with something dark so that the light doesn’t get to the roots (the algae won’t develop and it will grow for longer). Obviously, if you put it into soil, there’s no such problem.